In partnership with the University of Minnesota Swine Group and the Swine Health Information Center (SHIC) in Ames, Iowa, the Center for Animal Health and Food Safety (CAHFS) has taken a novel approach to strengthening the United States market against global swine diseases. The Swine Disease Global Surveillance Project (SDGS) compiles data from organizations, governments, producers, and experts around the world to provide near real-time global surveillance of swine diseases. SDGS’s international network of collaborators allows the team to accurately interpret and contextualize that information. Since November 2017, the program has published 24 reports that identify and track hazards that could put the U.S. swine industry at risk. An outbreak of African Swine Fever (ASF), now reported in 24 Chinese provinces, has countries around the globe on high alert. When the first outbreak of ASF was detected in China in August of last year, the program increased their output to bi-monthly—rather than monthly—reports, to ensure the swine industry had the most up-to-date information. “Diseases that impact trade do not respect borders and have the potential to spread quickly around the world,” says Maria Sol Perez, DVM, PhD, research development manager for CAHFS. The information SDGS collects focuses on awareness. “The industry didn’t expect the Porcine Epidemic Diarrhea (PED) outbreak that hit the U.S. five years ago. It became a huge epidemic,” says Perez. An outbreak of swine disease can decimate a country’s economy. A 1997 outbreak of foot-and-mouth disease (FMD) in Taiwan lead to the culling of more than four million hogs and an economic loss of US $5.5 billion. Today’s threat from ASF could be even more serious than FMD because there is no vaccine in the market. The Swine Disease Surveillance Program relies heavily on a global network of experts like Jose Manuel Sanchez Vizcaino, DVM, PhD, director of Center for Veterinary Health Surveillance (VISAVET), the World Organization for Animal Health (OIE) Reference Lab for ASF at the Complutense University of Madrid. When ASF was reported in Belgium in September 2018, the outbreak represented a huge jump for the disease in Europe, which had previously been contained to Eastern Europe. The program’s partnership with VISAVET is instrumental in closely tracking ASF in Europe. “Jose is a worldwide expert in ASF so it’s a huge advantage to be able to build his expertise into the reports,” says Perez. 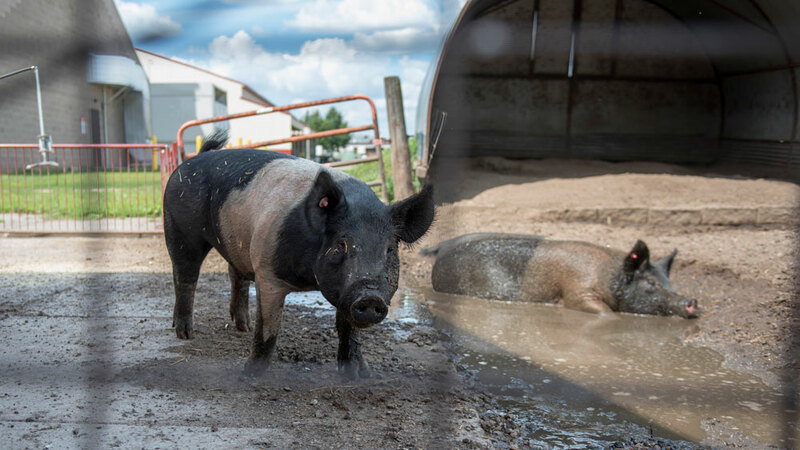 While external partners allow CAHFS to accomplish more effective and efficient work, the U of M’s ingrained expertise in swine health also makes CAHFS the ideal center of the program’s research.